The 1st International Sea Trout Symposium held in Cardiff in July 2004. It was convened in redress a long history of neglect by fishery managers and scientists in the conservation and management of this migratory fish whose importance and value in sustaining both recreational and commercial fisheries had increased as stocks of Atlantic salmon had declined. The formal proceedings of the Symposium were published in 2006. Copies are still available in hardcover or as an e-book. Population Dynamics, Ecology & Behaviour. The final session was an interactive discussion on matters of common interest and concern. This highlighted the strategic gaps in our knowledge and management ability that required further investigation and prompt action in order to better understand and manage the sea trout resource for the benefit of future generations. 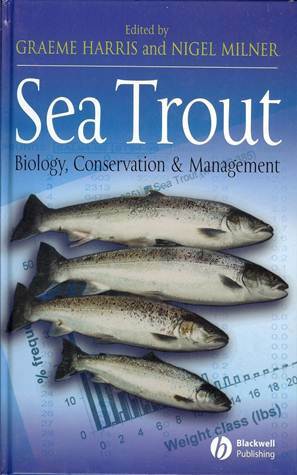 The formal proceedings of the Symposium were published as “Sea Trout: Biology, Conservation & Management” in 2006. Copies are still available in hardcover or as an e-book. Because of the inevitable delays in publishing a full account of the Symposium, the following Summary and Declaration covering the main conclusions and management recommendations were widely circulated immediately after the event in order to maintain momentum and encourage urgent progress by government departments, management agencies and others in the better management of sea trout stocks and their associated fisheries.